Low Weekly rate $875! 5 minutes walk to the Beach!!! Free Hi Speed WiFi!! Property 8: Low Weekly rate $875! 5 minutes walk to the Beach!!! Free Hi Speed WiFi!! Property 19: Las Casitas near the Airport, Beaches, Shops, Resturants, and scuba diving. Elegantly designed and spacious home. Property 20: Elegantly designed and spacious home. Welcome to No. 24 Harbour Mews…your home away from home. Property 24: Welcome to No. 24 Harbour Mews…your home away from home. 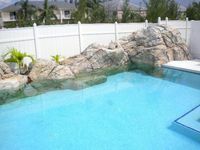 Property 28: The Perfect Bahama Getaway! Your Preferred Taste of Paradise: Find your Freedom! Property 29: Your Preferred Taste of Paradise: Find your Freedom! Beautiful townhouse overlooking the ocean in safe private community . Property 37: Beautiful townhouse overlooking the ocean in safe private community . BEAUTIFUL ISLAND RETREAT WITH STUNNING VIEWS AND BEACH! Property 38: BEAUTIFUL ISLAND RETREAT WITH STUNNING VIEWS AND BEACH! Property 40: Beautiful Beach-Front Townhouse! Peace Of Paradise! Get ready to make awesome memories! Property 43: Peace Of Paradise! Get ready to make awesome memories! Stunning Ocean Views Welcome you! Property 44: Stunning Ocean Views Welcome you! Cable Beach - Ocean Front Gem + Private Pool! 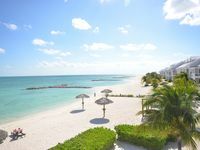 Property 48: Cable Beach - Ocean Front Gem + Private Pool! We just got back from a week&rsquo;s stay at this beautiful condo. It doesn&rsquo;t get any better than this. The condo and the location were amazing. There was plenty of room for eight adults and the condo had everything you could possibly need. John was very helpful both before and during our stay. We had a couple of very minor issues at the condo while there and they were taken care of immediately. We were also more than pleased with John&rsquo;s recommendations.....boat trip with Island Time Charters, Cheryl&rsquo;s Taxi Service which we used all week-they were very prompt and reliable, and the best night was when we hired Chef Everton to cook us a meal. The best vacation spot....just walk out your back door and you&rsquo;re on a beautiful sandy beach, can&rsquo;t beat it. Definitely plan on going back again next year!! Sonja and Ray were awesome hosts. Ray got us settled in and Sonja came later to go to the grocery store, liquor store and gave us a great tour of the city. The place had everything we needed and it was perfectly located. The house came equipped with everything we needed and it was large. The pool was very nice and private. No one was ever there when we used it. The patio was comfortable and made lazy mornings enjoyable. We were able to walk to the Cable Beach area including casino and resorts. We hopped the jitney to downtown several days and took cabs at night and to head to Paradise Island. Met several friendly locals and learned a lot about Bahamian culture. I would recommend this place to anyone looking to stay away from the resort scene (those can always be visited) and wanting to cook a few of their own meals. We all loved every minute of our perfect vacation. Thanks Sonja and Ray! Brenda W.